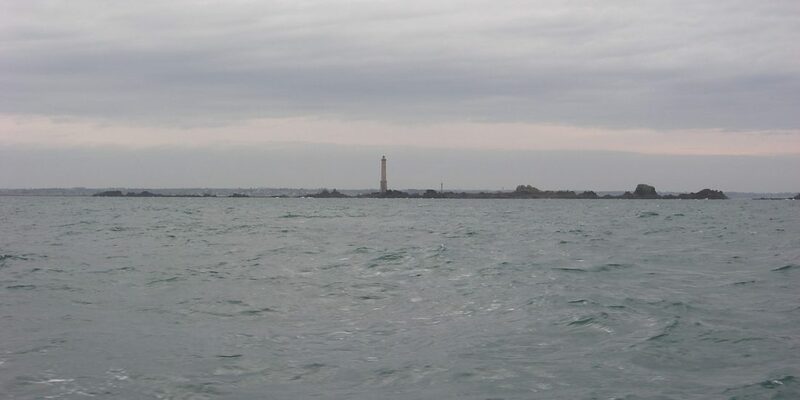 La Presqu’ile Sauvage: le Sillon du Talbert, nature visits, bathing and sand fishing. The pleasure port of Paimpol and its festival of Sailors’ shanties (Chants de Marins). 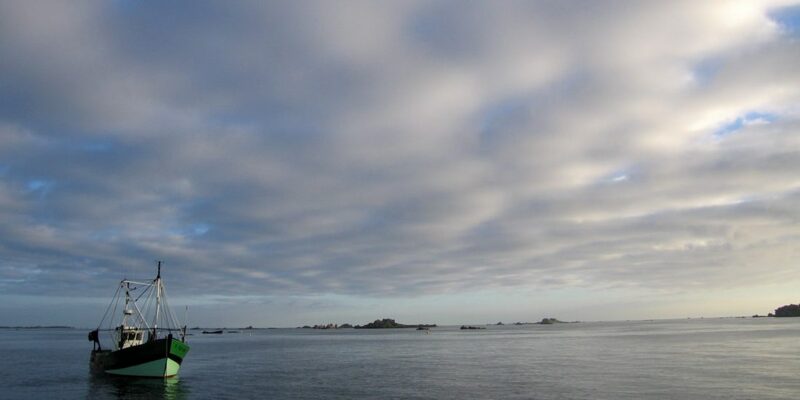 L’archipel de Brehat and its many tiny islands, accessible by boat from l’Arcouest. The little fishing port of Loguivy de la Mer, at the mouth of the Trieux River. Circuit of the Cote des Ajoncs d’Or: Plougrescant, the site of ‘Le Gouffre’, Port Blanc. 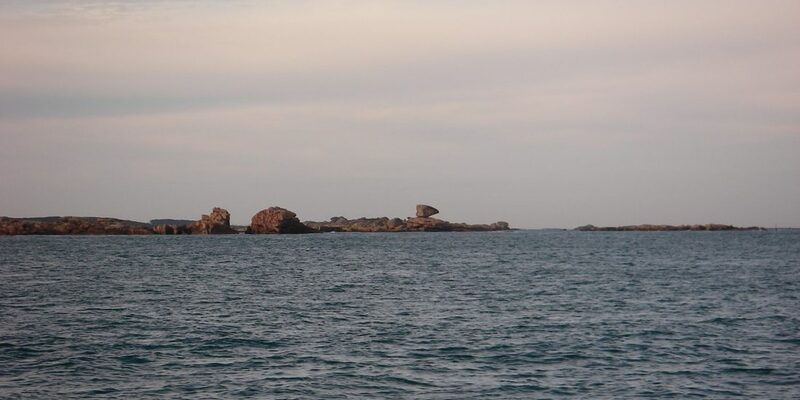 La Cote de Granit Rose (Pink Granite Coast), Perros-Guirec, Ploumanach, Tregastel and the Seven Isles, Trebeurden. 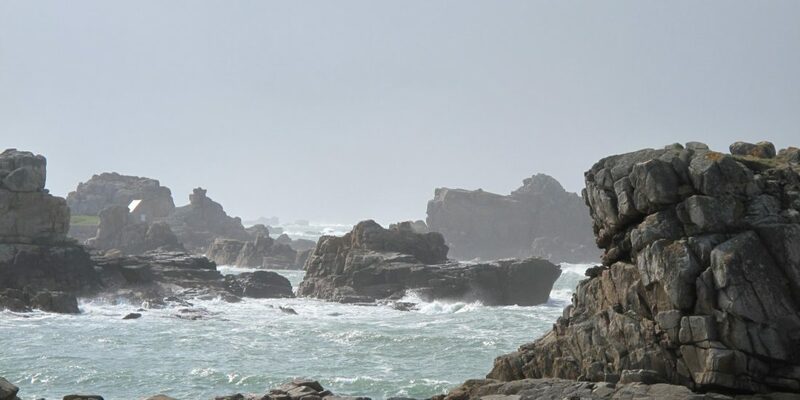 Les falaises de Plouha (the cliffs of Plouha – the highest cliffs in Brittany), Saint-Quay Portrieux, Binic and the bay of Saint Brieuc. The old town of Treguier and the Cathedral of St. Yves (pilgrimage each May). Pontrieux and its open wash-houses. Near to Paimpol: l’Abbaye de Beauport, the windmill of Craca. Le Chateau de la Roche Jagu (Roche Jagu Castle) with its lovely gardens (a medieval garden, remarkable camelias in springtime followed by superb rhododendrons). Gardens to visit: Kerdallo at Tredarzec, Kestellec at Plouguiel, Pellinec at Penvenan. The little train ‘La Vapeur du Trieux’ which follows the Trieux River from Paimpol to Pontrieux. Lannion, Guingamp and its festival of Breton dances in August. La chapelle Saint Gonery (15th century paintings of stories from the Bible) at Plougrescant and the l’Eglise Kermaria (15th century ‘Dance Macabre’ mural paintings) at Plouha. 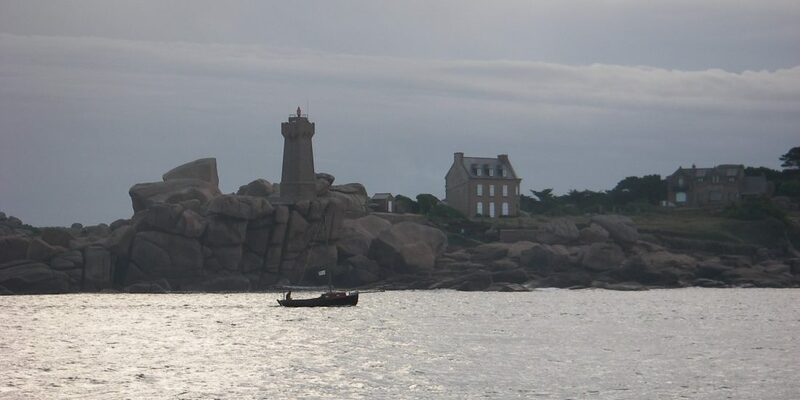 Le Cap Frehel (Cape Frehel) and the Cote d’Emeraude (Emerald Coast). 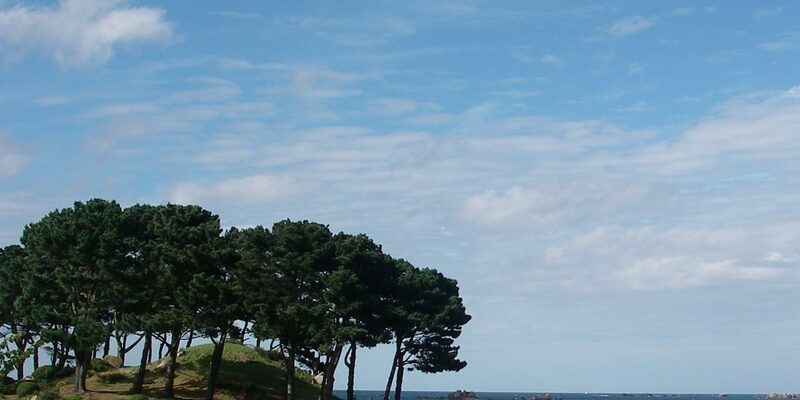 La Baie de Morlaix, the botanical gardens of the Ile de Batz and Roscoff. The superb aquarium ‘Oceanopolis’ at Brest. The region of ‘des Abers’ (estuary of small rivers) in North Finistere: Aber Illdut, Aber Benoit, Aber Wrac’h. The route des cretes (ridges) in the Monts d’Arree. There are many beaches nearby: the river beaches on the Trieux are 5 km away and beaches 12 km away. The region is an ideal place to go sand fishing. Ecoles de voile (Yachting schools) on the Trieux located at either Lezardrieux or Loguivy de la Mer and at Port Blanc. 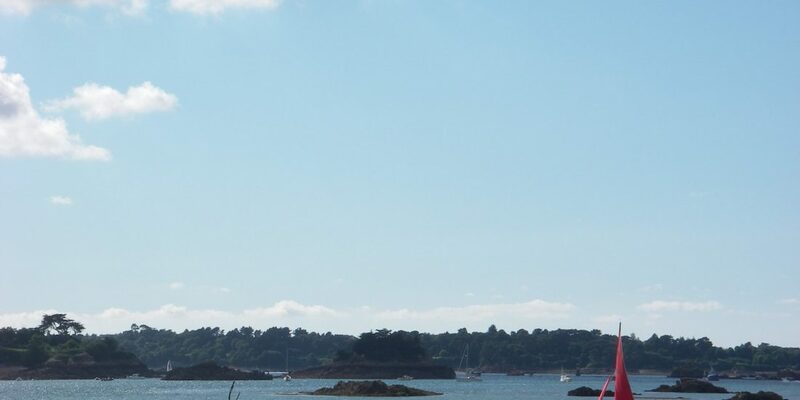 Perros-Guirec : catamarans, yachts with cabins, wind surfing and kayaks. Sea trips on ‘voilier a vieux greements’ old fishing sailing boats. Excursions by kayak on the Trieux River from Pontrieux. Hiking and walking, horse-riding or bike riding: the farmhouse is situated very close to the GR34 which follows the estuary of the Trieux River and tracks of the type RP (Petite Randonnee) are accessible on foot. In the farmhouse you will find documentation for your outings. Cap Armor proposes sporting activities for children: ask at the Office de Tourisme. 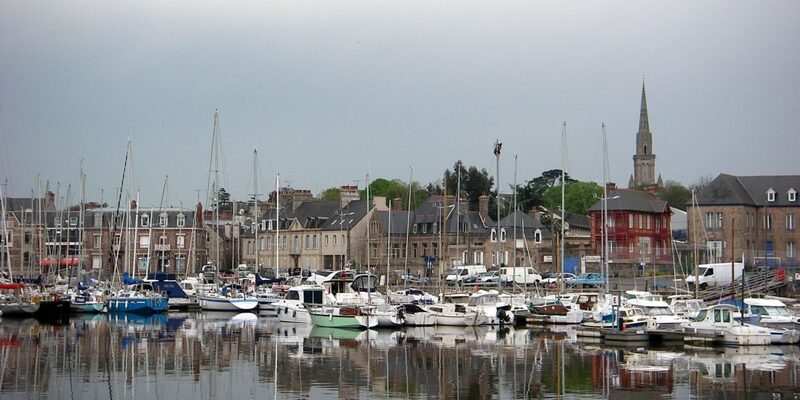 Tennis clubs at Lezardrieux, Paimpol and Treguier. Equitation centres at Lezardrieux, Paimpol and Plourivo. Golf clubs in the vicinity: Saint Samson, Saint-Quay Portrieux, Begard. Cosmopolis at Pleumeur-Bodou – The Brittany Planetarium. Indoor bowling at Lannion, Saint Brieuc, Perros-Guirec. Cinemas at Paimpol, Perros-Guirec, Lannion. 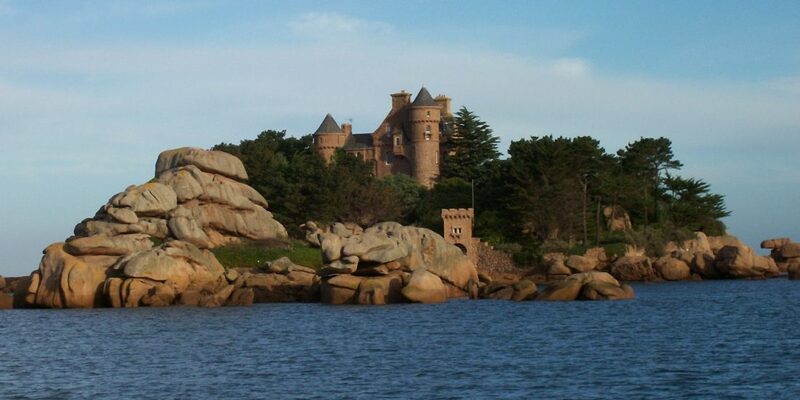 Casinos at Perros-Guirec and Saint-Quay Portrieux. Armoripark at Begard – amusement park. Finally, as you probably already know, this is the region for crepes – sweet pancakes, galettes – buck wheat savory pancakes, fish, shellfish (including scallops, oysters, lobster and crabs). We can also advise you about restaurants, shops and markets in the surrounding area.